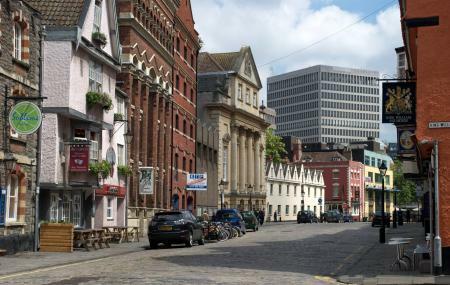 King Street is a seventeenth century street in the centre of Bristol and is a must visit tourist spot. The infrastructure and the whole architecture are to look forward to. The place is sure to take you to a walk through history and make you experience the city in a new fashion. There are many buildings in the place that hold a lot of importance in Bristol likes the LlandogerTrow,St Nicholas' Almshouses and much more. It is these historic buildings and ambiance which makes this a must stop for any tourist. Buses from The Centre can be taken to reach the place. Ferries can be taken to Welsh Back Landing and then a walk to the destination is easy to do. How popular is King Street? People normally club together Berkeley Square and St Peter's Church while planning their visit to King Street.